Webmasters who want to earn with their blog, Google Adsense is a revenue program which help them through their websites in a valid manner. As I mentioned in title that on this page users will get a Google Adsense approval tricks that is 100% Works if they follow it in a regular manner. # As Google Adsense made a policy last time for Asian countries that they should have domain that must be 6 month old, but they removed it from their policy and they have improve policies for Indian and Asian countries. No need to have as domain name. # Webmasters having desire for adsense must have a liable traffic and enough text content as required by Google adwords program. Maximum Traffic must be got from organic searches. 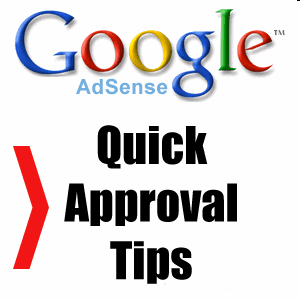 # Google Adsense Approval Procedure is not as complicated as people think about minimum Requirement. You just need to have a website and now you are required to go for Google adsense Official Website and must complete Adsense account process. # As you search on Google for Adsense Fast approval tricks, in 1 minute and etc any other query but there is such type of adsense tricks works. # For Fast Google adsense account you need to have enough visitors for your website then you can get adsense account. Text material on websites or blog must not substantial as compare to other blogs. Websites must not be infected with any malware or virus to have Google adsense approval. Don’t have a link that points to other websites that infringement rules of Google adsense if have then change relation to “no follow”. What you should now! Have any trouble in your websites that does not comply Adsense program, Contact us or comment we will review your websites and reply with best solution.